Why a new safety signage campaign? 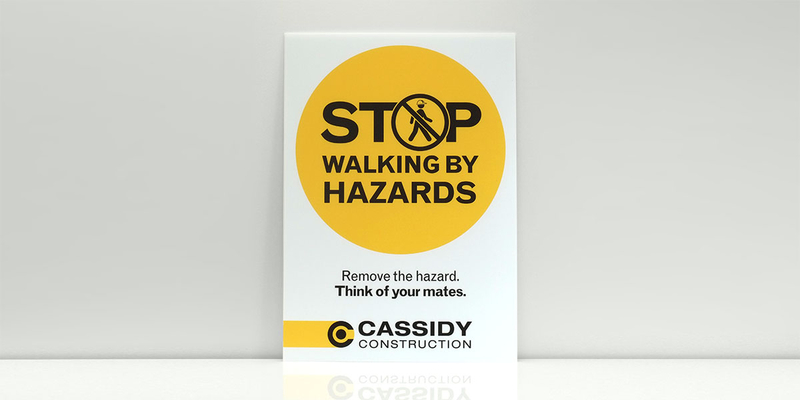 Safety on all their building sites is a priority for Cassidy Construction. 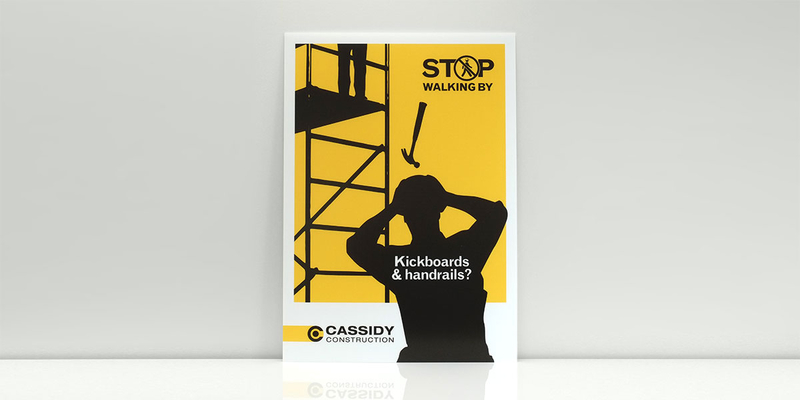 The Cassidy team approached Angle to develop a new campaign that went beyond the regular safety warnings. Their plan was to highlight specific hazards and to prompt action – not just reporting a hazard but actually doing something about the hazard there and then. We explored initial concepts and presented these to the client. We refined the concept and re-presented. We commissioned our illustrator to create the final imagery as we refined the copy. We placed finished illustrations and copy into the layouts and supplied a final proof. We created final scale artwork and briefed the printer. We approved printed proofs and delivered the finished job. 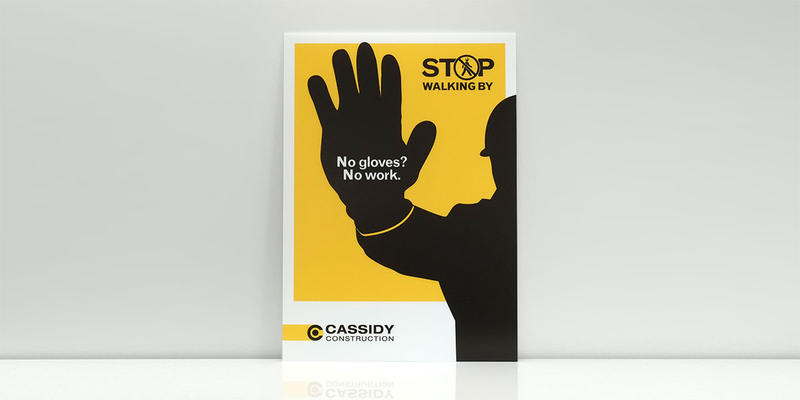 The creative solution for the safety signage design is simple and high impact. 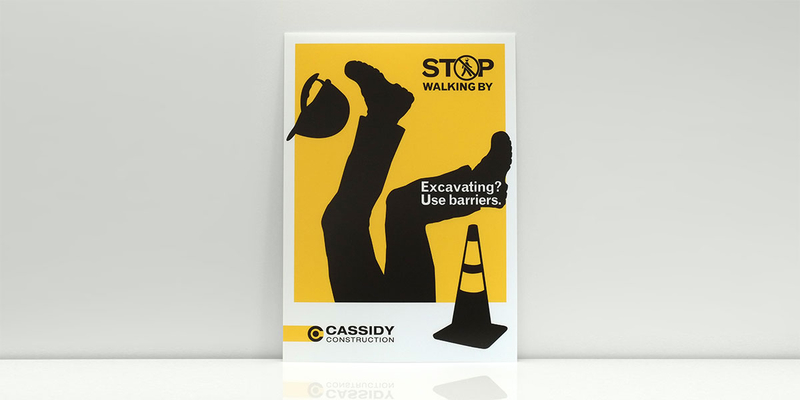 Having already created the branding for Cassidy Construction, we knew the visual components very well. Using their striking black and yellow colour palette, we created silhouette illustrations for each safety scenario or potential hazard. 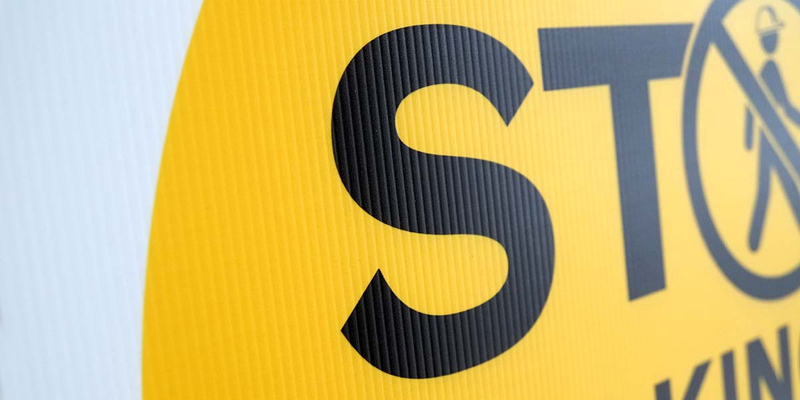 Each silhouette interacts with a yellow background panel, a white border and the safety message text to create a dynamic set of signs. 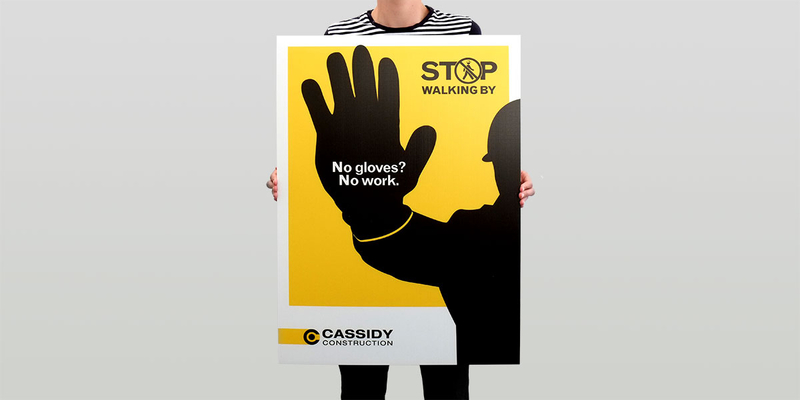 A simple but effective ‘Stop walking by’ campaign mark was also created. This appears in a consistent position on all signs. 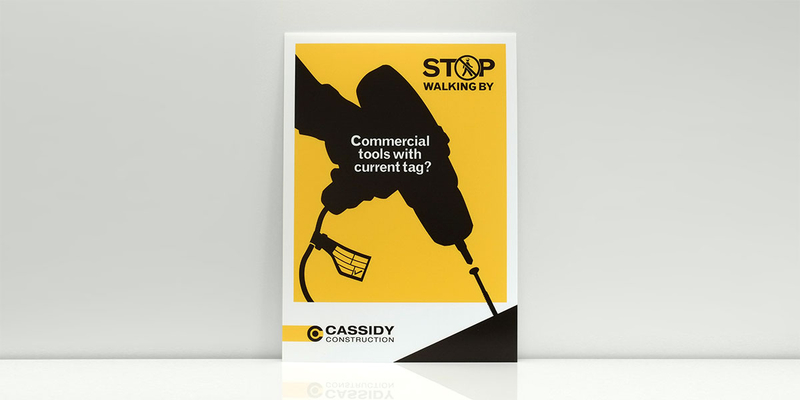 The designs are printed with UV inks directly onto A1 corflute panels for external use on all construction sites and a smaller A3 set of encapsulated posters were produced for indoor use to help extend the visibility of the campaign into all work areas. Finish UV ink printed directly onto A1 corflute and encapsulated A3 digital print on paper.